During the work week, parents rely on daycares to provide their children with the safest care. Sadly, injuries are the leading cause of death and disabilities for young children. 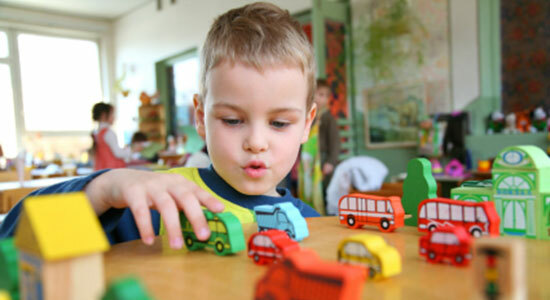 Licensed childcare providers have a high degree of responsibility when it comes to keeping children in a safe environment, so when selecting a daycare provider, keep these tips in mind to keep your child safe. Are all breakable and sharp items out of the children's reach? Are toys in good condition, without any broken, loose, or rough pieces? Are sharp edges and corners of furniture covered to protect the children? Are small toys that could cause choking out of reach? Are potentially dangerous products, such as household cleaners, chemicals or medications, locked in a closet or cabinet? Are there any objects that could fall and harm the children? Does the daycare keep up-to-date with recalls for children's' items? Outdoor play areas should be surrounded by a fence or border to ensure that children stay within the designated area. Outdoor play should always be supervised. Playground equipment should be suitable for the age of the children. Toddlers and infants should not be playing near tall platforms or high slides. The surface of playground equipment should be soft and flexible. Make sure the sidewalks, driveways, and parking lots are free of ice, snow, or debris. If there is a pool, this should be gated and locked, unless children are supervised by a lifeguard. Fingerprint-based federal criminal history submitted through the Pennsylvania State Police. Providing quality care and preventing injury are childcare givers' biggest responsibilities. As a parent or guardian, doing basic research and visiting properties can prevent accidents from happening. Tam, J. (2013). "Lawsuits Against Daycare Centers". FindLaw. DC Insurance Services, Inc. (2016). "FAQs". Extension (2015). "Preventing Injuries in Childcare".